These photos were taken last month. Jason saw big box so...this was his idea. Me: OK...but you have to act like you are very sad. Can you do that for me??? First shot failed because he was laughing so hard. But after few shots, I got what I want. He looks so sad isn't it. Of course, Matthew will also being part of the photos. Your son is such a cuties! Who needs what's in the box. Just give the kids the box instead. Much cheaper. That is so cute! I love that they both enjoy getting their pictures taken. A lot of kids don't so you'll have some great "test subjects"! This is totally a kid thing to do!! My boys do the same thing!! Once I found my youngest son inside a box with all his stuffed animals, a pillow, and his dad's iPad! My parents always told me all we had to do for our kids was wrap a box and put tissue paper in it. 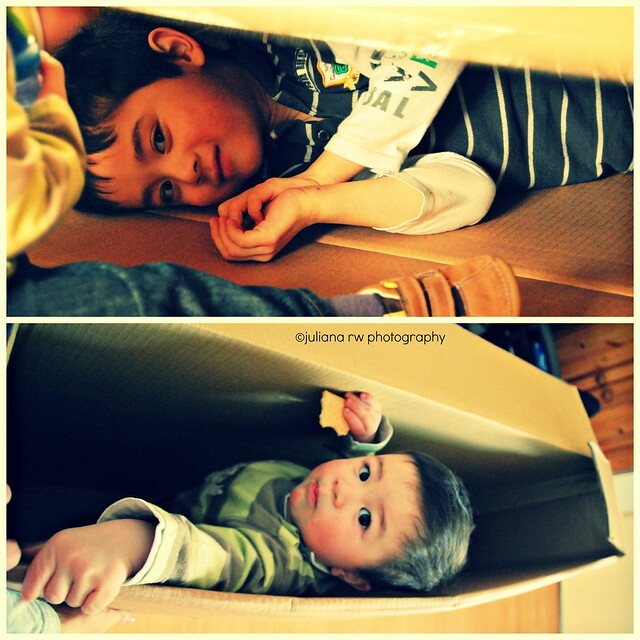 They would play with the box more than the toy inside. It was so true. So cute! I sometimes think that they love the boxes more than the item that came in them. 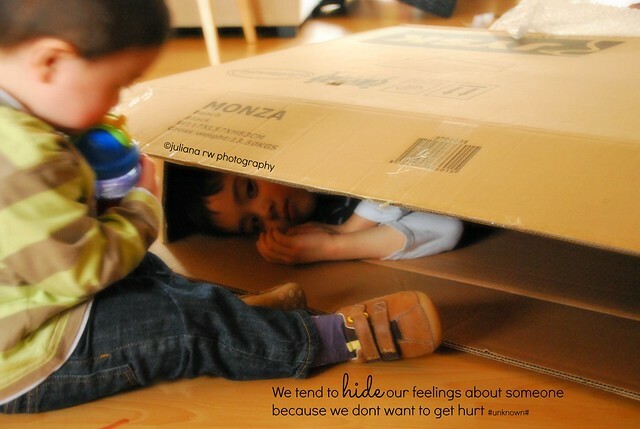 My kids were the same way - they liked the boxes more than what came in it!